WHAT A GREAT SOUVENIR! A CUTE LITTLE SNOWDOME WITH GLITTER SNOW FALLING AROUND A SPAM® CAN. 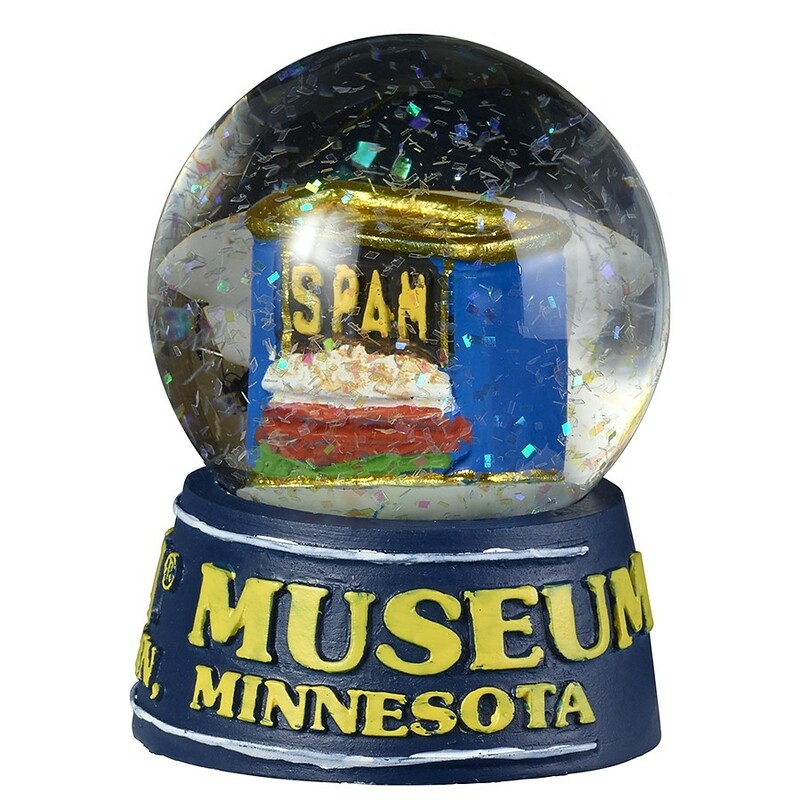 SPAM® MUSEUM, AUSTIN, MINNESOTA ON BASE OF DOME. 2-1/2" TALL.